In addition to the Kawasaki ZX-10 R and Double R, the ZX-10 R SE will also be available in 2018. What is the difference between the three models and what is new about the SE, you can find out here. The ZX-10 R is the standard model, the double R is the model that can be approved for the road, but is actually more at home on the race track. Which one can also see that it is a single-seater. 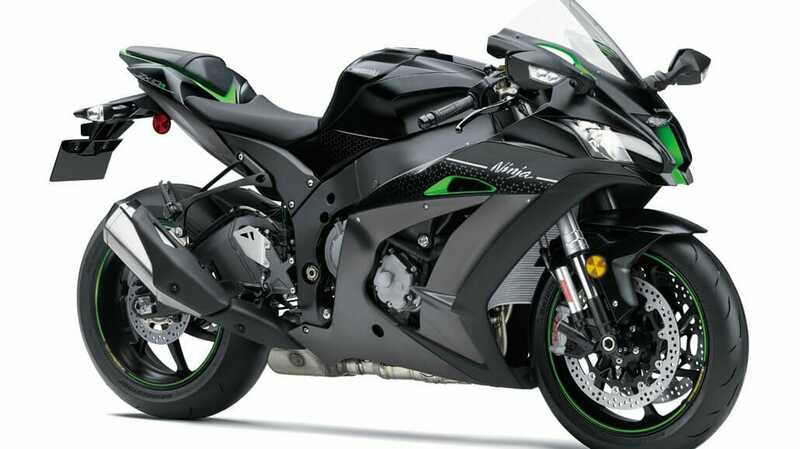 The Kawasaki ZX-10 R SE is a slightly more advanced R version. The biggest difference lies in the new electronic suspension, which is installed for the first time in a production machine from Kawasaki. It was developed in collaboration with Showa and got the name KECS which stands for Kawasaki Electronic Control Suspension. The semi-active system automatically adapts to the road conditions within milliseconds. This always provides the best possible damping and thus comfort and safety, as this also affects the braking stability. To make this system work, sensors were installed on the fork and shock absorber which provides information to the KESC-ECU every millisecond. The driver can choose between three operating modes: Road, Race and Manual. In manual mode, there are 15 setting levels. This can influence the semi-active suspension, but it does not disable it. It also adapts to the vehicle speed, lifting speed and / or vehicle deceleration, just depending on the setting – a little firmer or softer. But there are two more differences to the normal R version. The Kawasaki ZX-10 R SE comes on special Marchesini forged wheels and with Quick-Shifter incl. Blipper-function. So you can operate the gears up and down without the clutch. The price is 22,995 € suggested retail price plus freight and utilities.